Your products are received from your store any time you like and delivered to the destination any time you like. Textile products that must be carried without parcels and packaging can be delivered to their destination without any problems in our vehicles with hangers that can carry out delivery work locally. 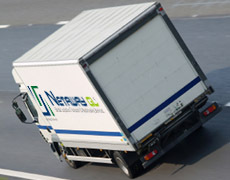 Your products are delivered to all the chain stores either with a direct vehicle or with routed vehicles. Small products of our partial customers which cannot be carried in complete vehicles ready for delivery are pulled to our storage, are consolidated with the other products and delivered to its destination door-to-door by us. A suitable vehicle is supplied by our local and intercity complete vehicle organization domestic logistics department either from the vehicles of our company or from contracted partners that meets your demands and the process from the moment the vehicle is loaded to the delivery thereof at the destination.